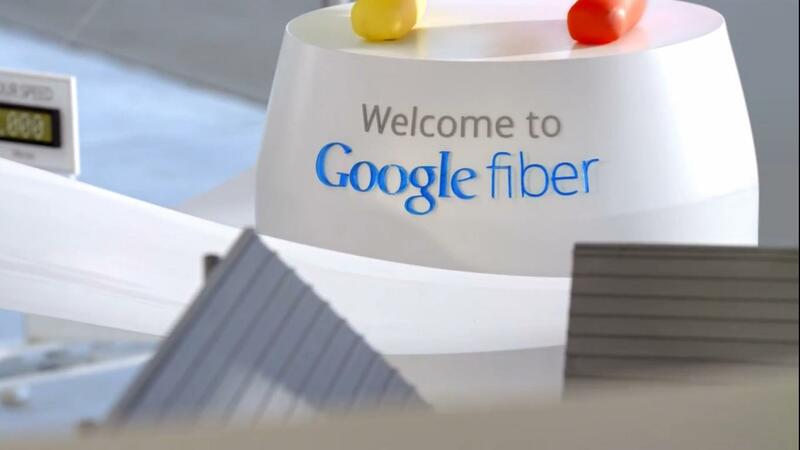 Was Google Fiber Not Able to Cut Deals with Time Warner, Fox or Disney? Google's much-discussed big fiber project in Kansas City officially launched today and will no doubt be endlessly analyzed in the tech media and closely watched for innovations as the weeks and months progress. The big selling point of the search giant's experiment is the gigabit broadband service, which Google is touting as 100 times faster than what most Americans receive and is priced at a remarkably competitive $70/month. The second biggest selling point is the "free" Internet 5 Mbps/download broadband service, available for a one-time fee of $300. But the third biggest selling point, and the worst kept secret in the world, is Google's package of 159 cable channels, which is bundled together with the gigabit broadband service for a still-competitive $120/month. But a closer look at those 159 cable channels reveals something interesting: not a single one is owned by top cable program network owners Time Warner, News Corp. or Disney-ABC Networks. Time Warner owns CNN, HBO, Cartoon Network and a number of popular and, some would say, mandatory networks. Disney-ABC Networks owns the Disney Channel and another mandatory cable network, ESPN (along with a host of ESPN-affiliated networks), plus a number of other popular cable channels. News Corp. owns a host of channels under the Fox brand name, including a number of sports channels (Big Ten Network, Fox College Sports and more), FX Networks, Fox Reality Channel, the National Geographic Channel and the arguably mandatory channel, Fox News. So why did Google launch a video programming package that is missing CNN, ESPN, HBO and Fox News? In all likelihood, Google was unable to cut a deal with any of the three programming giants by the time of today's announcement. Although Time Warner was obligated (until this very weekend in fact) to make its programming available to competitive multichannel video programming providers under program access requirements enacted by the Congress in 1992 and subsequently adopted by rulemaking at the FCC, those obligations no longer stand because Time Warner Cable, the operator in Kansas City, no longer has ownership ties with the programmer. Neither News Corp. or Disney-ABC ever had any obligations to sell its programming to competitive providers. The only cable programmer under the program access requirements (which apply only to vertically integrated programmers - i.e. companies that own both cable networks and cable systems) obligated to sell to Google is Comcast-NBC Universal and Google is carrying most of Comcast-NBC Universal's channels, including E! Entertainment, MLB Channel (jointly owned by Comcast-NBCU, MLB and others) and the Golf Channel. Google is telling the world to stay tuned and watch for new announcements over the coming weeks. Maybe some of those announcements will include the addition of new channels from Time Warner, News Corp. or Disney-ABC.